Pastor Leroy M. Cole, a native of Meridian, Mississippi is the son of Reverend James Cole and Minister Cora Lee Cole. He is a graduate of Meridian High School in Meridian, Mississippi. He earned a Bachelor of Science Degree in Industrial Technology, from Jackson State University in Jackson, Mississippi in September of 2001, a Master of Ministry Degree in May 2004, and a Doctorate of Ministry Degree in May 2007, both from Andersonville Theological Seminary in Camilla, Georgia May 2004. Dr. Cole also studied at the Interdenominational Theological Center in Atlanta, Georgia. Pastor Cole has served as pastor of the Rhodes Creek Baptist Church located in Terry, Mississippi and the Belmont Baptist Church located in Raymond, Mississippi. Since 2008, he has been faithfully and prayerfully serving as senior pastor of the historic Mount Zion Baptist Church of Tulsa, Oklahoma. Locally, Dr. Cole served as President of the First United Baptist District Congress of Christian Education from 2009 until 2013 and is currently the Moderator of the First United Baptist District Association. 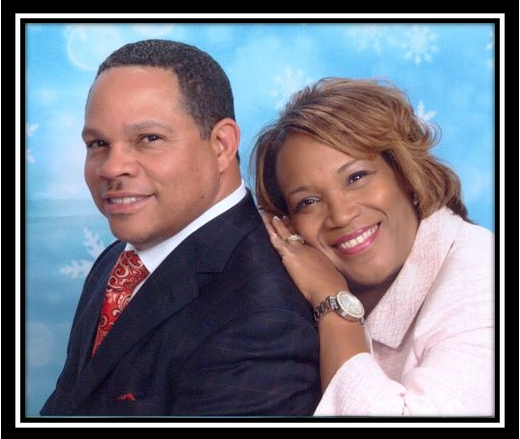 He is a member of the Five-Star Revival Ministerial Alliance of Tulsa, and a three-year facilitator at the annual H.L. Collier Leadership Conference. Other local affiliations include a six-year member of the Tulsa Downtown Clergy Association and a member of the Oklahoma Center for Community and Justice’s dialog study group. He has utilized his gifts of knowledge and teaching, facilitating numerous classes at the First United Baptist District Congress of Christian Education and Association, and in other districts, and has served as guest speaker at churches local and statewide. On the national level, Dr. Cole was guest speaker for the National Ushers Auxiliary Banquet of the National Baptist Convention in 2010 and a facilitator of the Joint Western Region Christian Educators’ Conference sponsored by the Division of Christian Education Accreditation and Credentials of the Sunday School Publishing Board. He is the General Overseer of the Born 2 Danz Conference. Empowered by the Holy Spirit, the anointing that rests on Pastor Cole’s life is manifested through his leadership ability, innovative teaching, and profound visions. Pastor Cole challenges everyone who attends Mount Zion to experience the love and joy that only God can give by giving their best in worship. Pastor Cole is married to the former Jeana McPherson of Jackson, Mississippi. They are the proud parents of Kelli, Kristie, Karla, LaBoris and Corey.